Do you dread going to your closet in the morning to look at the same clothes, that you wear the same way? Would you love to put on some of the new fashion trends of the season but not sure how to incorporate them? Have you been putting off buying anything new for one reason or another? Or maybe you just want to make your shopping trips count, to know that pieces you bring home will make you feel confident and beautiful, every time you wear it. Your personal style session will begin with a brief phone consultation, during which our stylist will discuss your lifestyle, budget and personal wardrobe needs. 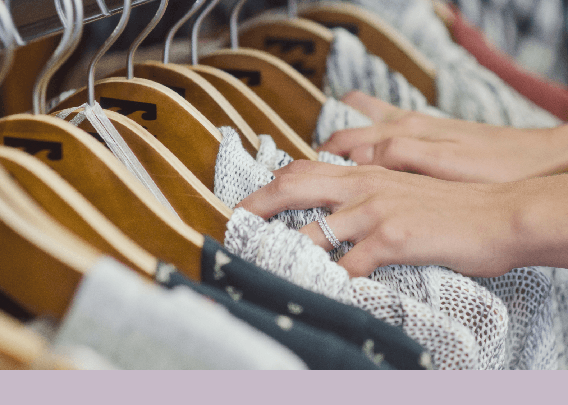 Once all this is established, you’ll meet our stylist who will guide you through the centre, focusing on the colours, trends, silhouettes that work best for you and focusing on the areas that you’d like to add or change to your wardrobe.